Mr. Jones was a lazy drunk and exploited the animals at Manor Farm. So, the animals, inspired by an eloquent speech by the aging and respected pig Old Major, decide to drive out Jones and take over the farm for themselves. They establish a new government, based on seven commandments of "Animalism", written on the side of the barn, that purport to protect the rights of the animals. It isn't long before animals are vying for power and exploiting that power once they have obtained it. The pigs are the most clever, so they take control, and end up revising each commandment to their advantage, grabbing more authority for themselves and becoming more and more like Mr. Jones and other human farmers as time goes on. The other animals eventually find themselves as oppressed by their new pig overlords as they were by their former human masters. After numerous lies, deceptions, and thievery, the pigs modify the final commandment from "All animals are equal" to "All animals are equal, but some are more equal than others". The citizens of animal farm realize too late that they have traded one master for another equally bad one. Animal Farm is George Orwell's first great work of fiction and it endures over 70 years after its initial publication. Orwell originally wrote the story as an allegory about the Russian Revolution and how Stalin eventually twisted its goals to his own ends; but Animal Farm is ultimately about how absolute power corrupts absolutely and this lesson can be found in any part of the world or political spectrum. Napoleon the dictator pig uses many strategies to maintain control - from repeating lies that draw his enemies in an unfavorable light to using violence to suppress any voices. It's frightening how much these tactics are still used successfully today. Orwell followed up Animal Farm with his classic 1984, another dystopian novel with a similar theme about the corruption of power; but Animal Farm does so more subtly, without the need for a closing speech to explain the methods and motivations of the ruling class. Animal Farm is shorter, but more imaginative than the later work. Animal Farm is a simple fable with a simple plot packed with symbolism. The characters are based on real figures of Soviet Russia (Old Major = Karl Marx; Snowball = Leon Trotsky; Napoleon = Joseph Stalin; Mr. Jones = Tsar Nicholas II), but the story works even if the reader is unfamiliar with that history. Bilbo the Hobbit was content with his life in the Shire when the wizard Gandalf showed up with 13 dwarves, who were told that Bilbo was an experienced burglar and would join them on a dangerous journey to steal back a treasure from evil dragon Smaug. Bilbo had his reservations, but he also had a wanderlust that overcame his desire for comfort; so, he agreed to join the dwarves on their adventure. They set out across Middle Earth, battling man-eating trolls and man-eating dwarves and man-eating giant spiders before confronting the man-eating dragon surrounded by his mountain of treasure, stolen from the nearby towns he terrorized and destroyed. The Hobbit by J.R.R. Tolkien is a delightful fairy tale of an odyssey across a magical world filled with fascinating creatures. It is a charming story in its own right, but its greatest contribution is that it introduced us to the world of Middle Earth, a mythical land that later became the setting of Tolkien's classic Lord of the Rings trilogy. 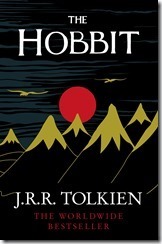 The Hobbit is much lighter than the later trilogy and can be read to and by most children. Yes, there are life-threatening dangers, but many of these are a bit silly and the party often overcomes them in humorous ways. The story and characters of The Hobbit have become so familiar to us, that one might expect this story would become tiresome. But Tolkien never allows this. He brings us on a remarkable journey with Bilbo, where our hero is transformed from an ordinary Hobbit to an extraordinary hero. Bilbo is short and chubby and enjoys his breakfast and his pipe far more than adventure. Yet, time and again, it is Bilbo who saves his companions from certain death. Gandalf recognizes Bilbo's potential early and puts him in a position to fulfill his destiny. Ultimately, it is the story of self-discovery for the hobbit. Count me among the many fans of The Hobbit. I enjoyed the story thirty years ago when I first encountered it. And I enjoyed it again this week. It is not a complex tale, but it has been a source of delight for readers of all ages for generations. Today I am grateful to watch last night's thunderstorms from my balcony. Today I am grateful for a free flu shot yesterday. Today I am grateful to see Jo Ann Dougherty Trio and Bruce Henry at Winter’s Jazz Club - my first visit to this venue. Today I am grateful for my new Bluetooth speaker - a gift I received from Tristan last week. Today I am grateful that it's October in Chicago and the weather is still nice enough for a long bike ride. Today I am grateful I live within walking distance of my church. Today I am grateful to celebrate the wedding of Andrew and Lisa last night. Today I am grateful to attend the Microsoft Ignite conference this week. Today I am grateful to visit Universal Studios theme park last night. Today I am grateful to Brian for saving us a table at the restaurant last night. Today I am grateful for dinner and drinks last night with folks from Pearson. Today I am grateful to re-connect with old friends yesterday. Today I am grateful I was asked to be a sponsor for my nephew's confirmation next month. Today I am grateful to Doug and Sherree for a place to sleep last night. Today I am grateful for dinner with Cameron and family/friends last night in Logan Square. .
Today I am grateful to present at #VSLive yesterday. Today I am grateful to Jeremy for answering my Azure questions yesterday. Today I am grateful to Chris for driving me to the car dealer yesterday. Today I am grateful for an evening bike ride along Lake Michigan last night. Today I am grateful to attend the first Printers Row Art Festival yesterday. Today I am grateful to the tow tuck driver who rescued me last night. Today I am grateful that my doctor takes the time to thoroughly answer all my questions. Today I am grateful to see the traditional Irish band Altan at the Irish American Heritage Center last night. Today I am grateful I've been able to make it to the gym every day for the past 2 weeks. Today I am grateful to David for introducing me to Stereophonics by taking me to their concert last night. Today I am grateful to Michael, who loaned me his clicker and did not complain that it took me 2 months to return it. Today I am grateful for a free year of NFL Sunday Ticket. Today I am grateful to the lady who bought me dinner last night. Today I am grateful to see Billy Joel last night in concert for the first time. Today I am grateful for a walk around Northerly Island and Burnham Harbor last night. Today I am grateful for a 10-mile bike ride around the city yesterday. Today I am grateful to sit on my balcony yesterday reading, writing, and watching the storms roll across the city. Today I am grateful to celebrate Larissa's birthday with her yesterday. The Return of the King concludes J.R.R. Tolkien's epic trilogy - The Lord of the Rings. Frodo and Sam and Gandalf are motivated by what is right and by a chance to save their friends Sauron and his allies are motivated by a desire to rule the world. They battle because of their greed and power lust. Spoiler alert: The good guys win. Good triumphs because the good people are motivated to protect their lands and help one another. Sauron motivates his allies through fear and intimidation. As a result, there is no loyalty and constant infighting among his forces. Of course, the good guys suffer infighting and doubt in the outcome, but they know their cause is just and they know they can depend on their friends and allies. And ultimately, they win because they assist one another voluntarily, despite great risks to themselves. Return brings the 3-volume story to its climax. Gandalf, Aragorn, and the others remaining from the Fellowship of volume 1 wage war against Sauron's forces, which distracts the evil sorcerer enough to allow Frodo and Sam a chance to sneak into Mordor and destroy the powerful One Ring at the Cracks of Doom, where it was created. One should only read The Return of the King as part of the trilogy - not only to understand how the story progressed and how we got to where we are; but to appreciate the evolution that so many of the main characters go through. Gandalf is transformed from gray to white surpassing the power of his master Saruman, who was seduced by Sauron. Merry and Pippin begin book 1 as irresponsible children and end volume 3 as heroes. They literally grow up as they both mature and gain height by drinking Ent Water; Aragorn, known only as a wandering woodsman when we first met him, claims the throne through both his heredity and his heroic actions; Frodo, of course, accomplishes his goal of carrying the ring, though it drags on his mind and his body. But it is Samwise Gamgee ("Sam"), whose loyalty and courage makes Frodo's quest happen. He came to us as a gardener and ended up saving the world, doing so with startling humility. There are so many more characters in this book that captured my imagination: Faramir, who resisted the temptation that doomed his brother Boromir; and his father Denethor, driven mad by the loss of his son and the seeming hopelessness of the War of the Ring; and Eowyn, who disguised herself as a man to join the battle and fulfills a prophecy by defeating a great enemy. One even finds great characters among the villains, most especially the pathetic Gollom who literally battles with himself over whether to betray Frodo and seize back the precious ring that he once owned. I could go on and on. There are so many characters and so much texture to the world Tolkien creates, that this series bears reading multiple times. This was my second time, although my first was decades ago. If there is any weakness of Return, it is that the story continues for so long after the war has settled. After dealing with the one ring and ending the war, the Hobbits return to the Shire to discover it has been ravaged by orcs and bad hobbits under the influence of the evil wizard Saruman. It's an interesting story, but a bit of an anti-climax after the long quest to save the world. Still, it does show the strength gained by which our heroic hobbits, who are able to save the Shire without the help of Gandalf or the elves. 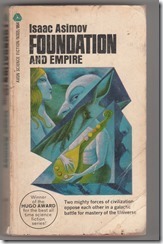 But this does not diminish the book or the series, which stands as a classic of high fantasy. If Tolkien did not create this genre, he certainly defined it. You can see his influence in many who came after him. Terry Brooks's popular Shannara series borrows many characters and storylines from The Lord of the Rings. Tolkien's story is epic, his writing is poetic, and his characters are memorable. "I'm glad to be with you, Samwise Gamgee, here at the end of all things." And I am glad this world had Tolkien to give us the world of Middle Earth.